It was a sunny day in a safe Midwestern city of about a million residents. The local Country Radio Station, programmed by market veteran P. Dee, had just pulled-down one of the best “books” in the past decade, dominating every major adult demo. Dee thinks how fortunate he is to have found a great-sounding local country band that people really love. He’d replaced his “street teams” with the local band’s live performances at station and community events. In fact, two of the band’s songs are always amongst the most-requested on the station and rumors persist that a major Nashville Label is interested. Good will has been built in the community and Dee is certain that this part of his branding strategy is producing great returns. 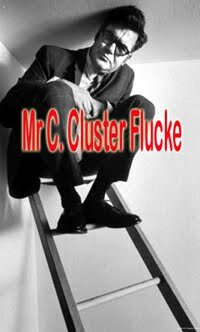 After his daily meeting with the morning show, now with 8-straight #1 books under their belts, he got a call from his market manager, Mr. C. Cluster Flucke, informing him that Mr. S. Vepeigh was at the airport and wanted to meet with him in an hour. Reluctantly, Dee deleted the band’s songs from the database as S. Vepeigh left town. Two weeks later, Vepeigh returns, eager to spend some quality time with “his” top performing station. Upon his arrival, he immediately goes to P. Dee’s office. Dee attempts to explain that his morning show, the longest-running— and most successful in the market, is known for their topical bits about local people and local events. A half-hour later, after a round of howdys and shakes, Vepeigh leaves town. With a feeling of despair, Dee decides to return that phone call he’d received a few weeks back from a well-funded internet radio start-up that said it was impressed with Dee’s keen sense of music and content. Meanwhile, Mr. C. Cluster Flucke gets a call from his boss, Mr. Siegh Eeoe, who’s flying in on the corporate jet tomorrow and wants to have dinner. “Bring your budgets,” he says. At a nearby restaurant, P. Dee is being recruited hard and he decides it’s time to make his move to New Media. He accepts a generous offer to leave the market and become VP/Programming of the start-up company that appreciates his years of success and his great ears. He informs Mr. Cluster Flucke at their staff meeting the next morning, from which Dee is immediately escorted by Security to the station’s front door. Cluster knows his meeting that night with Mr. Siegh Eeoe is going to be brutal, so he spends the day sequestered in his office planning his strategy. That night, after enjoying steaks the size of Philadelphia and 2 martinis each, the two senior managers get down to the budget. Cluster explains that, just this morning, his veteran country programmer, P. Dee, had resigned and with that, a large salary could be eliminated and with his proposed realignment plan, he could see a great future of growth for the stations. You see, C. Cluster Flucke is a wizard with numbers, which is why Siegh Eeoe identified him as a leader in the company shortly after he hired him as Director Of Sales 6-months ago. Having been recruited from a business that imported, marketed and distributed an ointment that worked very much like KY Jelly, Cluster Flucke had Siegh Eeoe undivided attention. “Great plan! Make it happen! I’ll meet with our P-R Department in the morning and get a positive spin going for the trades,” says, Mr. Siegh Eeoe, who excuses himself because he needs to fly home right away. At the staff meeting, Flucke announces the appointment of Ms. I. Duhoe as Operations Manager. She says she’s “fine with it, as long as she doesn’t have to listen to country music.” Laughter erupts around the room. At the same time, Mr. C. Cluster Flucke lets his staff know that he’ll be in Las Vegas for the semi-annual Market Managers’ Meetings all next week. He expects some wonderful new ideas and opportunities to “pop out of those meetings”. As the staff readjusts to the new management alignment, Flucke settles into his hotel suite in Las Vegas and dresses for the Black Tie Cocktail Reception and private concert that officially kicks off the sessions. At the first session, Mr. Siegh Eeoe introduces the keynote speaker, the renowned “media guru” Mr. Con Sultant, who gives a fiery speech on the threat of Internet Radio, Social Networking and mobile phones. He tells the assembled Market Managers that BMW is offering a device that will, when hooked up by a cable to a Smartphone, allow drivers to surf the internet instead of listening to AM/FM Radio and talking and texting on a mobile phone. And he foresees millions of Americans heading straight to their BMW dealers to purchase the $75,000 automobiles. “Radio, as we know it, is on its deathbed,” he announces to the shocked red faces staring blankly back at him. “Millions have already signed long term contracts for Smartphones for over $200 per month. Mr. S. Martass was last seen boarding a cab for the airport as the group broke for lunch. “And”, he says, “We need younger listeners to our country station. So, Ms. I Duhoe will be the new morning show host, effective immediately.” Then, he’s off for the Sales Department to offer big incentives for selling digital ads. Now, in a big city far away, P. Dee, who’s now programming the Internet Station Slam-Decker, is entangled in an endless string of meetings on “philosophies” and “strategies” that seem to change daily. At today’s meeting, Company President P. Dorrah introduces the renowned media guru, Mr. Con Sultant, who explains the necessity of branding through music and that only those songs that effectively brand Slam-Decker should be available for play. Each music genre should have 5 Core Artists only. Furthermore, persons over 24 are of no importance to Slam Decker because the members of this demographic have already made their brand choices and will never adopt internet radio. “Get to your databases and eliminate all songs that aren’t testing as favorites among persons 12-24,” he tells them. At almost that same moment, in the same city, the famous singer, R. Teeste, who heads a coalition favoring the Performance Rights Act, tells an incredulous press conference that the coalition has disbanded and that PRA Legislation is no longer a priority. Doin' What I Love Best! I'd love to hear from you! 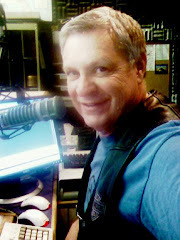 Please visit my website, http://www.johnhendricksbroadcast.com/. You can leave me a message there or contact me personally from the "Contact" button.